AT&T today said it will sell the new LG V35 ThinQ beginning this week. Preorders kick off Friday, June 1, with the phone scheduled to reach AT&T stores on June 8. The LG V35 ThinQ is an updated version of the V30 that relies on the same internal components as the LG G7 ThinQ. The V35 has a 6-inch screen, two 16-megapixel cameras with Google Lens, a 3,300mAh battery, and a Snapdragon 845 processor with 6 GB of RAM and 64 GB of storage. Critically, the V35 ThinQ will support Band 14 and AT&T’s FirstNet first responders network. The phone will be made available to FirstNet customers in addition to AT&T’s own subscribers. The phone costs $30 per month for 30 months, or about $900. LG’s new phone is a Frankenstein-like effort. LG sliced and diced parts from various phones and stitched them together to breath life into one monstrous device. The V35 ThinQ is part V30, part G7, and all LG. It boasts a 6-inch screen, mil-spec toughness, the latest silicon, and a trio of cameras. Here are Phone Scoop’s first thoughts about LG’s latest laboratory creation. Protect Fi, the MVNO run by Google, is prepared to expand its lineup, according to LG. LG today announced the V35 ThinQ, a flagship smartphone with an appealing metal-and-glass design and top components. LG says the V35 ThinQ is on deck to be sold by Google’s Project Fi. Details surrounding the Project Fi version of the V35 ThinQ and what it might cost have yet to be revealed. Project Fi sells only a few devices, all of which run a clean version of Android. The MVNO’s roster is limited to Google’s own Nexus and Pixel series phones, as well as the Motorola Moto X4. Google has yet to say anything directly about the LG V35 ThinQ, particularly with respect to cost, availability, and software. I’m sure we’ve all heard about crowdsourcing. Many of you will have no doubt seen our coverage of Kickstarter projects, where your money is needed to get a product or idea off the ground. However, let me introduce you to something a bit different, and something where you can actually earn cash, rather than spend it. Crowdville is now live in the UK and provides a way for brands to have their online products tested by real people. Those people, you and me, can sign up and take part easily – you just contribute when you have time and, the more you test, the more you earn. You get to be part of the product development, squeezing out bugs, perfecting the experience and feeding back any problems – all from your smartphone while you wait for the bus or sit on a train. You get to turn those periods of “downtime” into real earnings. The Crowdville system shows your stats, earnings and profile information and payments will get sent to you each and every month. Just sign up and you’ll be contacted with some products and services to test. You simply fill in a very quick registration form, confirm your email address and then you can add additional information onto your dashboard – your mobile device, your mobile operator, any video or music services you might use and there’s the chance to add further electronic devices too – just so that they know what kit you’ve got. All of this is good information for the brands and companies who are looking for certain gadgets to test, and if you choose to add your work and education information, that gets added to your profile too. The main control panel is where you can find your “Missions” – these are the tasks that’ll earn you money. You can also use their referral system and generate your own teams. Each mission has specific requirements that you’ll need to meet, for example they may be looking for a specific smartphone or a certain operating system. Prizes, rewards and money will be given in return, with some missions “cashing out” with a prize if you find a bug. There’s also a big communitee on here – the service is already running successfully in Italy and there’s a thriving group where you can exchange ideas, get news, ideas and recommendations. It’s basically a smart way to make money easily, and you get to use some premium services as part of the testing – for free ! Not only is it your chance to shape future apps, services and updates, but you get to earn cash while you’re doing it. The post Crowdville – Earn in your spare time is original content from Coolsmartphone. If you see it on another news website, please let us know. Just this morning I added this EE deal which delivers 20GB for £20 per month. The only minor snag was that I then had a look at the competition and found some arguably better deals. Well no, I’d missed it. My bad. This one is just £5 more and, for £25 per month on a 12-month SIM-only deal, you get a whopping 40GB of data with unlimited everything else. You get up to 60Mbps speeds (which is probably faster than a lot of FTTC home connections) and you can use up to 15GB from your data allowance in the EU. It looks like this also includes Apple Music, free for six months and the BT Sport App with three months free live sport. 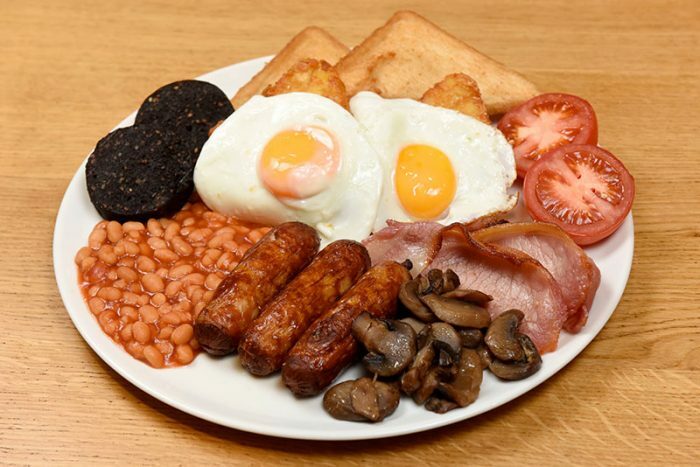 If none of that tickles your fancy then you can perhaps do what I did this morning – take a trip to Morrisons and get their new “Big Daddy Breakfast”. Three rashers of British bacon, three pork sausages, three hash browns, bread, two eggs, two tomatoes, two black puddings, baked beans and sliced mushrooms all for £6. I mean sure, it’s nothing to do with phones and it’s about a million calories, but hey… it’s £6! Boom! 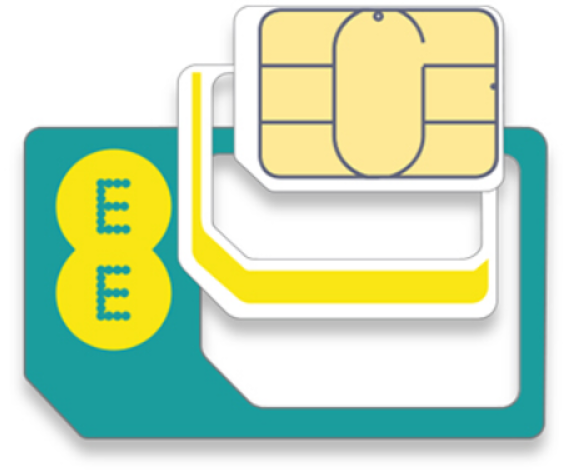 The post Wait a minute – another EE deal. This time even more data is original content from Coolsmartphone. If you see it on another news website, please let us know. The radiation levels from mobile phones used to be a massive issue for consumers particularly when we had huge aerials back in the late 90s and early 00s, but it seems to have fallen away from the public eye. The reality is that phones still emit radiation in various quantities, a Swiss start-up company, FAZUP, announced a patch specially designed for phones. 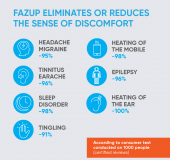 Fazup is an extra thin patch including a passive antenna that regulates and reduces the radiation emitted by the mobile phone towards the head when a call is made and towards the body when a person carries a phone on their person. Apparently, in 2011, mobile phone radiation was classified by OMS as ‘possibly carcinogenic to humans’ there is currently no global scientific consensus on this subject. This lack of clarity and regulation means that nothing is being done to protect mobile phone users. A specific form of FAZUP contour which is designed to work (or interfere) with all basic frequency bands (2G, 3G, 4G) used all over the world. That is band optimisation. 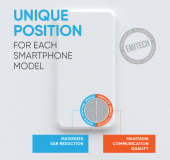 A specific position for each phone model is found through the in-lab Near-Field Radiation (NFR) Pattern Measurement. 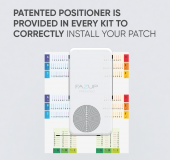 This test consists of an empiric selection of the position of the patch which reduces radiation emissions while keeping high network signal quality. Our aim is not to make the radiation as low as possible, but to decrease it to a safe level, keeping the user within a safe range (a marginal impact on signal quality rarely occurs with mobile phones with low network sensitivity and at the limit of network coverage). That is position optimisation. The post Anti-Radiation patch for smartphones is original content from Coolsmartphone. If you see it on another news website, please let us know. 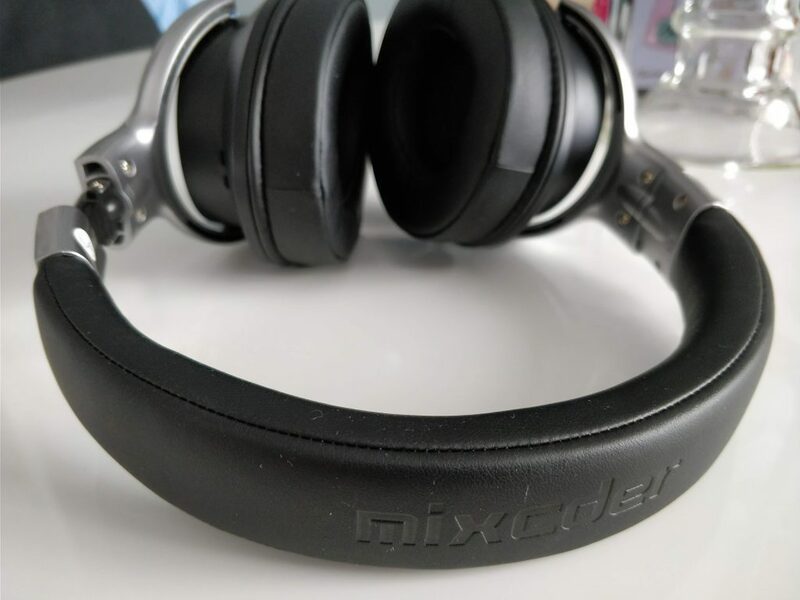 Mixcder E7 active noise cancelling headphones – Review. 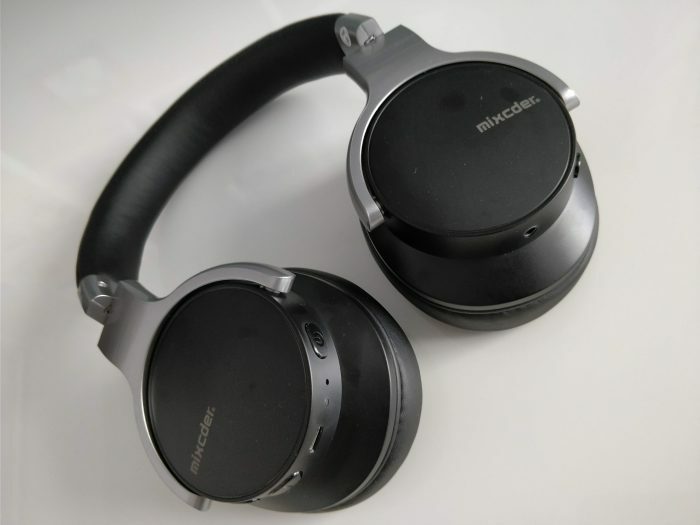 Back in December I carried out a review of the Mixcder MS301 Premium Bluetooth headphones. I was extremely pleased with them. Both the sound and build quality was excellent, and I gave them an overall score of 92%. You can read that review here. Well now I’ve been sent through the latest product from Mixcder – the E7 Active Noise Cancelling Headphones. Let me just start this review by saying that..
Mixcder must be making a loss on each unit sold, because I genuinely don’t know how they are making such a quality product at its price point. The E7’s have ANC (Active Noise Cancelling) tech which can not only isolate noise physically, but also blocks out noise by smart and active technology. When the headphones detect an incoming noise, a digital signal processor (DSP) analyses the sound waves and creates inverse waves to cancel out the ambient sound. This means that you just hear the music and nothing else. No USB type C charging. As with Mixcder MS301, the first thing that you notice is that premium packaging. The headphones arrive in a stylish carry case too. 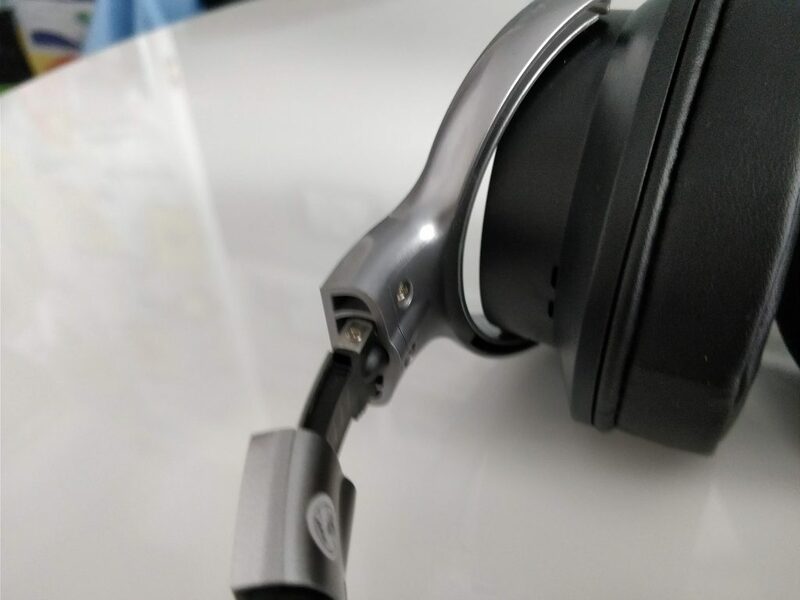 The headphones are very well built with a strong a sturdy feel. They feature an aluminium alloy shell and have a black plastic finish on the outer ear cups. The adjustable headband is made of alloy and stainless steel for strong durability. A nice added touch is the measurements engraved into each of the notched extensions to get the fit just right. At the top is a very padded headband for extreme comfort. The cups are very well padded and I was able to fit my whole ear inside the cup. The headphones are also fold-able for easy transportation. Around the right ear cup is the On/Off and volume Up/Down controls. There’s also the microUSB charging port. On the left is the Active Noise Cancelling On/Off switch and a 3.5mm headphone socket which means the headphones can still be used as a wired set if the battery runs down. As with the MS301’s was there is a good weight to the E7’s. This reassurance comes from the fact the manufacturer has reinforced all the stressed parts, such as the hinges and the headband. 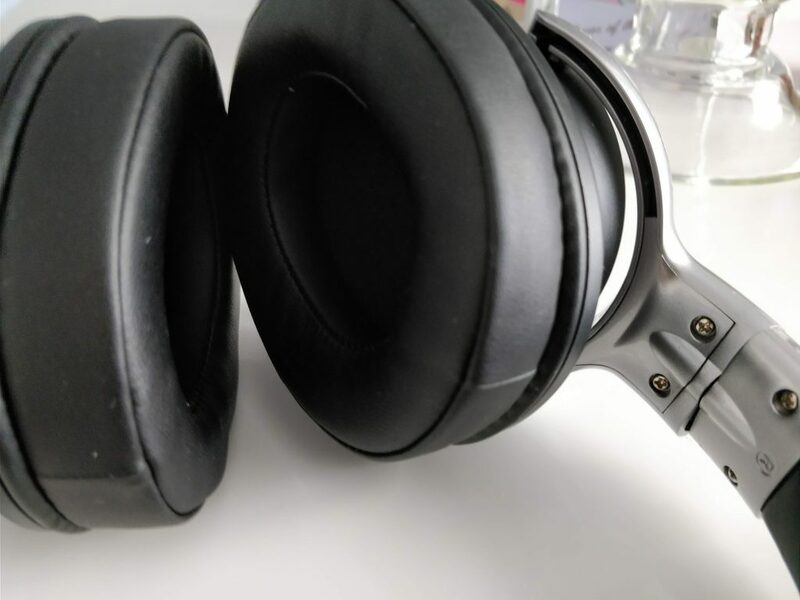 One advantage that the E7’s had over MS301’s is that the ear cups are a little larger so I could fit my ears fully inside, and thus reduce any pressure on my ears. The plush thick ear pads did an excellent job of filtering out noise, but I did find that my ears did get a bit hot and sweaty after a few hours of use. As for the range I could quite happily walk around my house without and loss of connection, and outside I was able to get well over 30 feet from my device with a good solid strong signal. As for the battery life Mixcder claim 20 + hours of use before a recharge is needed. In my tests I was easily able to hit this mark and extend past it a couple of times. 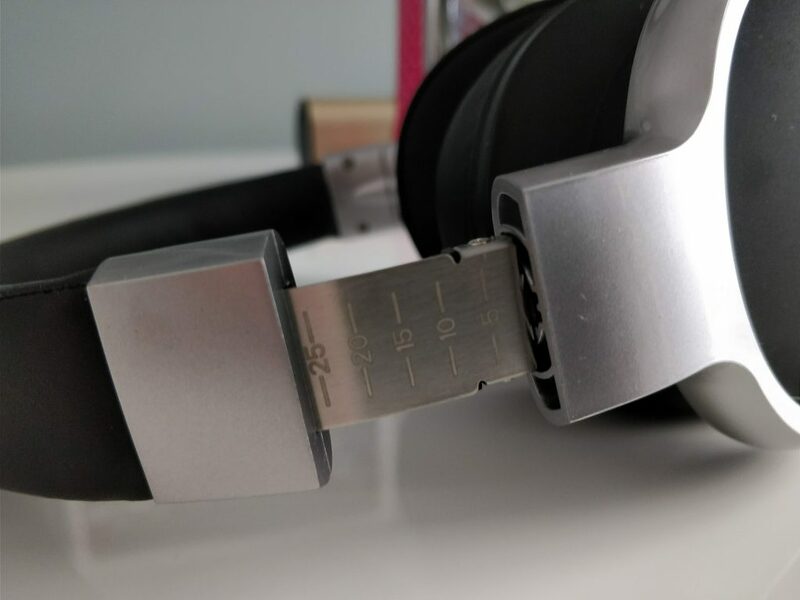 Bass is quite prominent on the E7’s and I was really impressed with the sheer depth the headphones reached when listening to some bass heavy tunes. Voice quality was exceptional too, with good phone call quality. This was in both the Bluetooth and wired modes. On to the Active Noise Cancelling, the E7’s do a fantastic job here, and they really do manage to filter out most background noise. To be fair they’re not in the same league as my Bose QC 25’s,, but they do an amazing job for the price they cost. The Mixcder E7 headphones are currently available from Amazon for an amazing £41.99, and for that price you get a pair of well made premium-feeling headphones. They have a cracking sound and stellar battery life with Active Noise Cancelling t’boot. To be honest these give some of the bigger brands, and hence more expensive headphones, a real run for your money. Like I said at the start, I honesty don’t know how Mixcder are making such quality headphones at this price. The post Mixcder E7 active noise cancelling headphones – Review. is original content from Coolsmartphone. If you see it on another news website, please let us know. This deal has just started and expires on July 3rd. It’s a SIM-only offering, but you can easily unlock your phone and switch or get a relatively cheap smartphone instead of paying out a fortune on a contract phone offering. 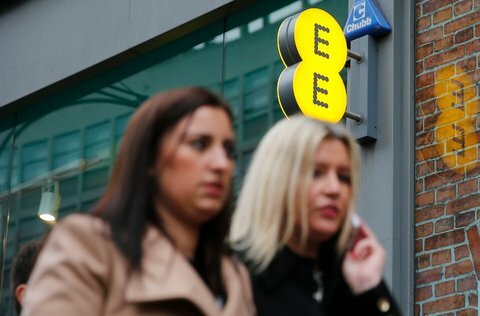 EE are right now offering this SIM-only plan where you get unlimited texts, unlimited minutes and 20GB of data every month for a year. It’s £20 per month and you’ll be on a 12-month plan with this one. As part of the offer includes 6 months of Apple music and 3 months of the BT Sport App. Whilst this is good, you can get 40GB with Virgin Mobile who sit on the EE network anyway, with 5000 minutes and unlimited texts for £18 per month. So perhaps go for that. Also, if you’re into big data SIM-only plans, Vodafone do 20GB with unlimited everything else for £20 per month, as does iD Mobile (on Three). Meanwhile, Tesco Mobile (on O2) does 20GB too (although there’s “only” 5000 minutes and texts on that) for the same price. Perhaps the best we found is giffgaff for £20 per month which delivers unlimited data plus unlimited texts and calls. The giffgaff version of “unlimited” does slow speed down after you’ve passed the 9GB usage marker though. The post EE SIM-only big-data deal now available is original content from Coolsmartphone. If you see it on another news website, please let us know. Qualcomm today announced the Snapdragon XR1 Platform, a system-on-a-chip dedicated to stand-alone virtual/augmented reality headsets. Much like Qualcomm’s mobile platforms, the XR1 contains multiple modules that together enable powerful extended reality experiences. The XR1 includes a dedicated Kryo CPU, Adreno GPU, Hexagon VPU, and Qualcomm’s Spectra ISP, in addition to dedicated wifi, security, and location modules. Qualcomm says the XR1 can handle 4K video playback at 60 frames per second, OLED support, voice-command user interfaces, six-degrees-of-freedom (6DoF) head tracking and 6DoF/3DoF controller tracking with 20ms latencies. On the audio side it includes aptX/aptX HD, low-latency high-definition surround, and active noise cancellation. The XR1 also packs Qualcomm’s neural networking technology for AI-based prediction and assistance. Qualcomm has an initial list of hardware partners that have agreed to use the XR1 in their future devices, including Meta, VIVE, Vuzix, and Picoare. Qualcomm says the Snapdragon XR Software Development Kit includes all the tools developers need to put the XR1 to use.